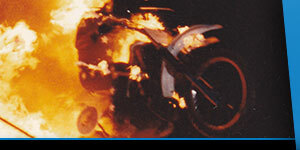 Lawrence Ryan (AKA Lawrence Legend) was born in Junee, NSW on 28.03.1971 and became the third generation of motorcycle stunt performers in the Ryan family, making his first motorcycle jump at the age of 14 he went on to establish himself as Australia's leading motorcycle performer by age 21. 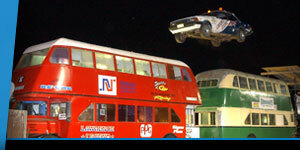 He is today internationally respected as one of the world's leading stunt performers, has appeared on TV around the world and has innumerable Australian and World Records to his name, many previously set and held by the legendary Evel Knievel. 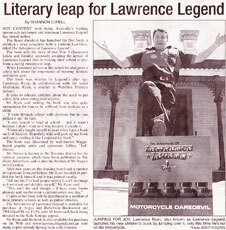 With an international following, especially amongst the young, Lawrence Ryan decided to write "The Adventures of Lawrence Legend" in collaboration with Michelene Ryan, a teacher at Werribee Primary School, to educate the young on the essential need to put safety first when riding motorcycles. It is written informatively and entertainingly, a story which appeals to children of all ages. 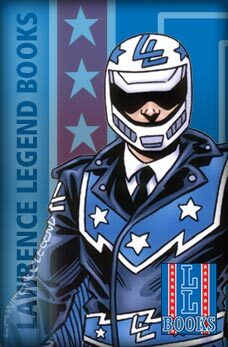 The Adventures of Lawrence Legend" is a children's book about two classmates Lewis and Jennifer, they are in grade three at primary school and are awaiting the arrival of Lawrence Legend Australia's number one motorcycle daredevil. Lawrence is coming to the school to perform a daring motorcycle leap and give a safety talk about the importance of wearing helmets and safety gear. The children's day seemed endless with anticipation as await the arrival of Lawrence Legend. LL books was formed in 2000 with the release of the first book "Adventures of Lawrence Legend" (ages 3-10) which has sold thousands of copies. Now plans are under way for four more books in the Adventure of Lawrence Legend series. A comic book style "Hero" story books for ages 10-15 and a coloring in activity book are now in production. and with the How to Draw Lawrence Legend and Bikes book are here! Contact Lawrence for more information on how to purchase your own copy!